A Good Doctor for IBS Treatment CAN be Found! Finding a good doctor for IBS to help you diagnose and deal with your symptoms can be a long process, but it doesn't have to be. Learn from the information here and it will reduce your time and frustration significantly. Sometimes one of the most frustrating things about IBS is finding a doctor who will truly listen to you and the miserable time you have had with the disorder; a doctor who will not just recommend Imodium, laxatives, or Prilosec and send you on your way; a doctor who understands your symptoms are very real, that it is not all in your head, and how IBS is ruling your life. That said, you will need to work with your doctor for IBS diagnosing and treatments. In order to get him or her to understand the significance of your symptoms, you should bring in a detailed and thorough list of your symptoms. Include with this, information on when you have the symptoms, when they are the worst, what helps relieve the problem, how long you have been experiencing the symptoms, and if there is anything else that makes it worse? Do not be afraid to give the doctor the fine details about your symptoms, such as how you spent a good part of your weekend in the bathroom, or how you had to avoid a recent activity because you were so uncomfortable with bloating and gas! In diagnosing and helping you find some solutions to your IBS symptoms, your doctor should be using the Rome Criteria. What is the Rome Criteria, and why is it called that? No, IBS was not invented in Rome, Italy and IBS did not cause the fall of the Roman Empire! In 1988, there was a conference held in Rome called the 13th International Congress of Gastroenterology. A sidenote: I am not sure why they chose Rome for the conference, other than it being a REALLY cool place to have a conference. I do know that when I was in Rome recently, my IBS symptoms disappeared while I was there! Of course, I was still following my routine of natural remedies to treat my IBS, but it is such an amazing city, I guess I had just forgotten that I had IBS! Good thing, since Rome is certainly not famous for having easy access to restrooms. See more about going to Rome (or anywhere!) with IBS on my Traveling with IBS page. So getting back to my point: A group of physicians gathered in Rome and worked on defining certain criteria and guidelines to help doctors more accurately diagnose IBS. In order to do this, there is a specific set of questions your doctor should be asking you, such as how often you have pain, how long you have had it, and if it is relieved with a bowel movement. For more information on the questions your doctor should be asking you click here and learn about the Rome Criteria. So if your doctor is not asking you some or all of these questions, and if your doctor is just throwing some laxative or Immodium at you to try, and telling you to just avoid caffiene and stress.....it's time to find a new doctor! From my experience, a good doctor for IBS diagnosis, will be a gastroenterologist. Take comfort in the fact that at least 25% of the people he or she will see that day will have most of the same complaints as yourself, so do not be embarrassed! The gastroenterology doctor is used to hearing about these symptoms. Using a gastroenterologist doctor for IBS diagnosis can be beneficial because they will know and be very familiar with the proper tests needed in order to rule out diseases and disorders more serious than IBS. The gastroenterologist is also a great resource for information on medication that can be helpful for IBS. While I do not agree with the regular use of medication for IBS, there are times when it is helpful or necessary to have medication for relief of disabling symptoms. Click here to find a list of gastroenterologists in your area. Once you have a diagnosis of IBS, I believe it is helpful to then pursue a different type of doctor for IBS treatment. Complementary, alternative, naturopathic or integrated medicine – You will hear these terms used interchangeably to describe a doctor who practices healing that does not fall within the realm of conventional medicine. Complementary medicine is not intended to replace a conventional medical doctor, but is used as an added benefit to a doctor's regular care. More and more hospital systems are adding a complementary medicine department in their system as an option for patients. Services offered through complementary medicine may include nutrition therapy, vitamins, massage and acupuncture, although it can vary depending on the doctor. This type of doctor for IBS may want to test you for allergies and/or parasites to determine a cause. In order to find a doctor practicing complementary medicine, you can call your local hospital, ask your family doctor or gastroenterologist, or search online for a doctor of complementary medicine in your area. Holistic Medicine – Holistic medicine looks at the whole person when treating a disorder, physically, mentally and spiritually. These doctors will use many of the same treatments as the doctors practicing complementary and restorative medicine. 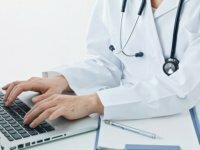 No matter which heading is used to describe the doctor's practice, keep in mind that when finding a doctor for IBS alternative treatment, they should be able to take the time to listen to your concerns and try to get to the underlying cause of your IBS, leading you to better overall health! If they cannot, keep looking! It will be well worth it!